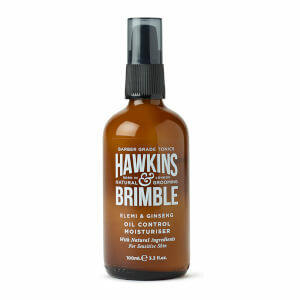 Discover the brand new range of natural grooming products from Hawkins & Brimble here at Mankind. 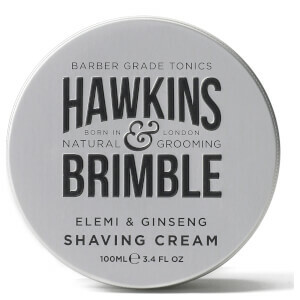 Founded in 2016, British grooming brand Hawkins & Brimble offer a range of simple yet effective products which deliver consistent results. 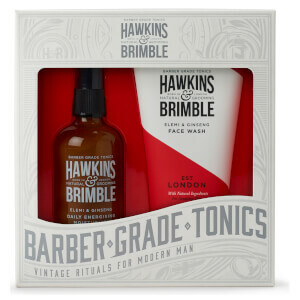 Formulated with natural, simple ingredients, the brand skilfully blend form and function and each product is tailored specifically to complement the lifestyle of the modern man. 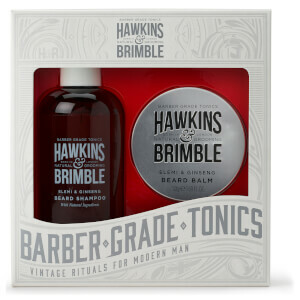 The range includes shaving, skincare, beard care and hair care products which achieve unrivalled results. 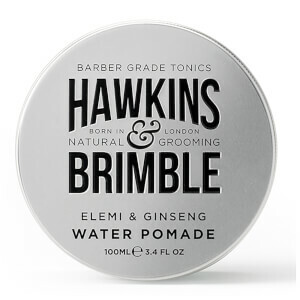 Housed in effortlessly edgy yet sophisticated packaging, they subtly inspire pride in masculine traditions and revive traditional barber rituals. 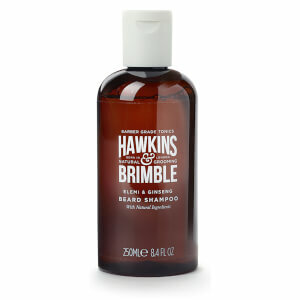 Simple to use, all products are infused with a delicate fragrance of almond and cocoa. 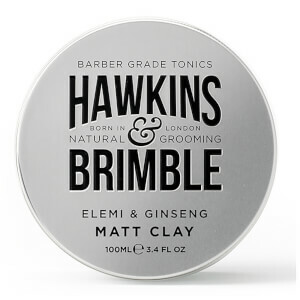 The Hawkins & Brimble Moustache Wax is a lightweight, deep conditioning and nourishing wax to shape, sculpt and twist hair. 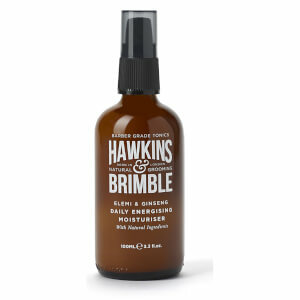 Formulated with castor, almond and argan oil, this antioxidant rich mix leaves facial hair soft, calm and manageable. 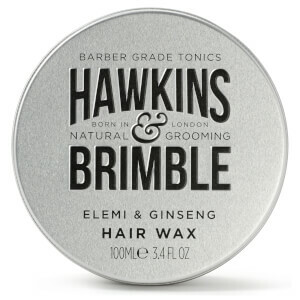 Made in the UK with beeswax, it provides intense moisture and hydration to both your hair and skin. It’s suitable for vegetarians, hasn’t been tested on animals and is free from parabens, colourants, mineral oils, SLS/SLES and alcohol. 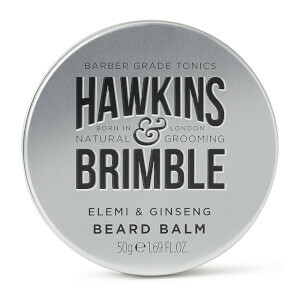 Complete with the brand’s signature Elemi and ginseng fragrance, it’ll subtly scent your moustache to complete the style. 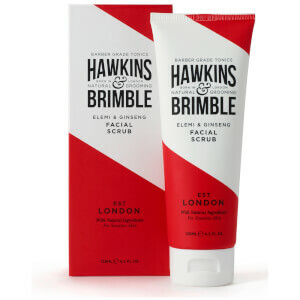 The Hawkins & Brimble Pre-Shave Scrub prepares and softens skin and hair for a close and comfortable shave. 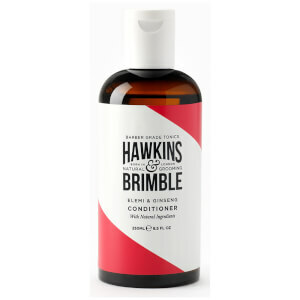 Fortified with sweet almond oil, it lifts and conditions the hairs for easier removal. 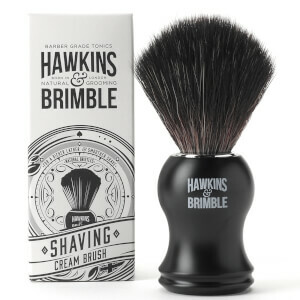 Walnut shell is also present to gently buff away any dead skin cells, roughness and dryness for a clean, smooth shaving experience.